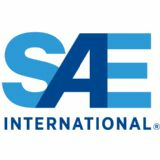 SAE AeroTech Americas, now held annually, is the North American-based, tip-to-tail aviation event focused on the next generation of air transport. If you're involved in any facet of modern aircraft development, then this is exactly where you need to be. This critically important, comprehensive event brings together all of the best minds and key stakeholders to share information on emerging and applied technologies, discuss industry issues, and connect with other aviation professionals.